A most awesome and different shade of blue! 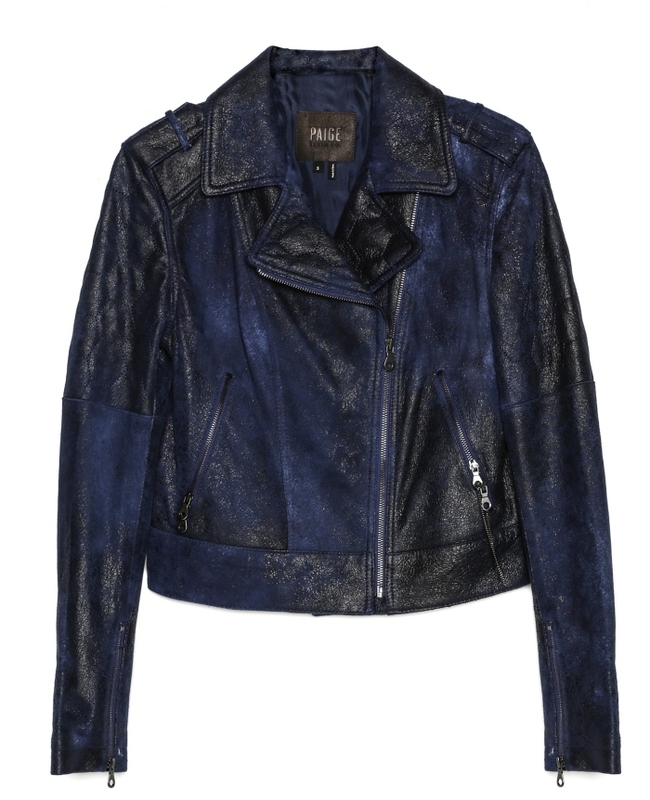 I just discovered that PAIGE does a rad navy leather jacket! Let me explain. Leather jackets have been THE must-have item for a long time now. And seriously, how many black leather jackets do we all own already? Counting….I have a cropped one, a super cropped one and a men’s leather jacket. AND they are all black. So do I need another black one??? Nope! 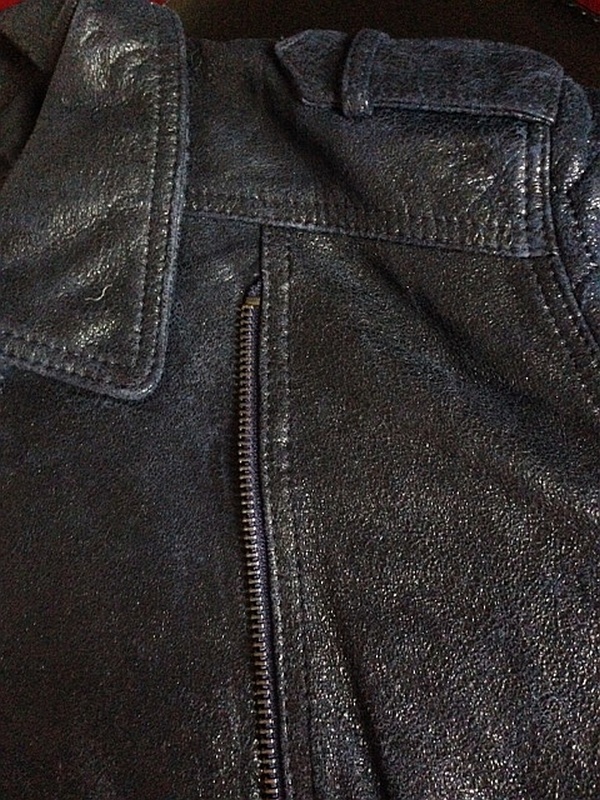 Oh, and btw, my leather jackets almost qualify for “vintage” – I’ve had them for years and years already. And many times I was inclined to get some new jackets, but never did. BUT I am doing it now – PAIGE just gave me the most delicious perfect excuse to add to my leather collection. 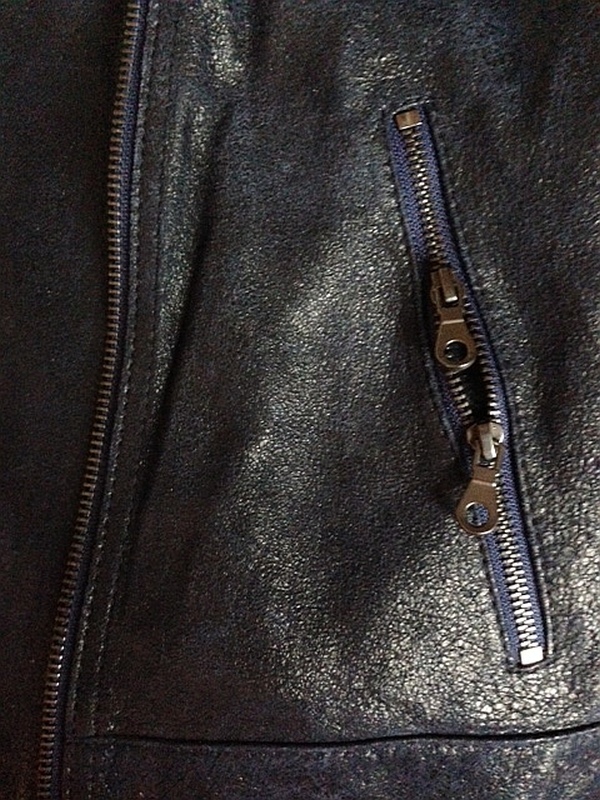 The navy blue, almost black jacket. When they sent me this jacket, at first, I thought that it was a silk jacket. I am not kidding you. It is super light and so soft, it really feels like silk at the first touch! 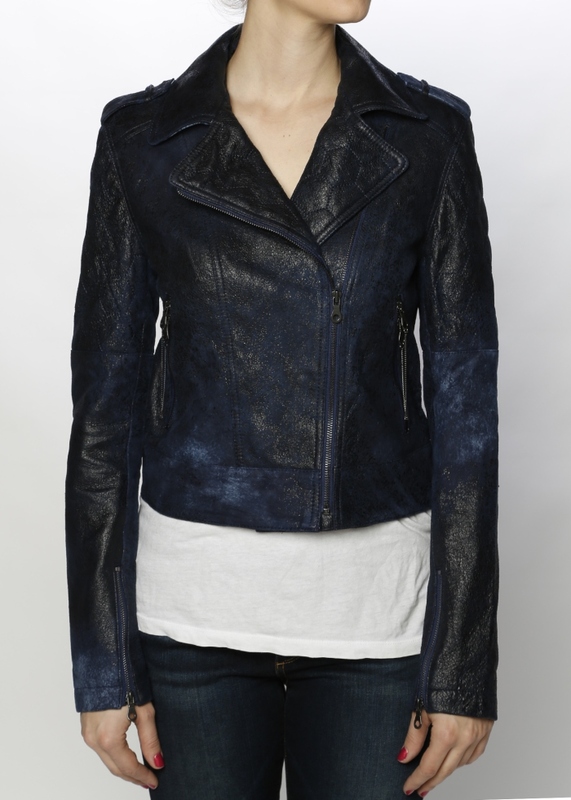 As Paige explained to me, the reason why this jacket is so soft is that they have used pigments to color it navy. Other details are the double pocket zippers and the epaulets. Check out these images and tell me that you don’t feel like adding this amazing leather baby to your collection! I have also attached an image of the same jacket in black, just in case you don’t want to give up on your beloved black color! 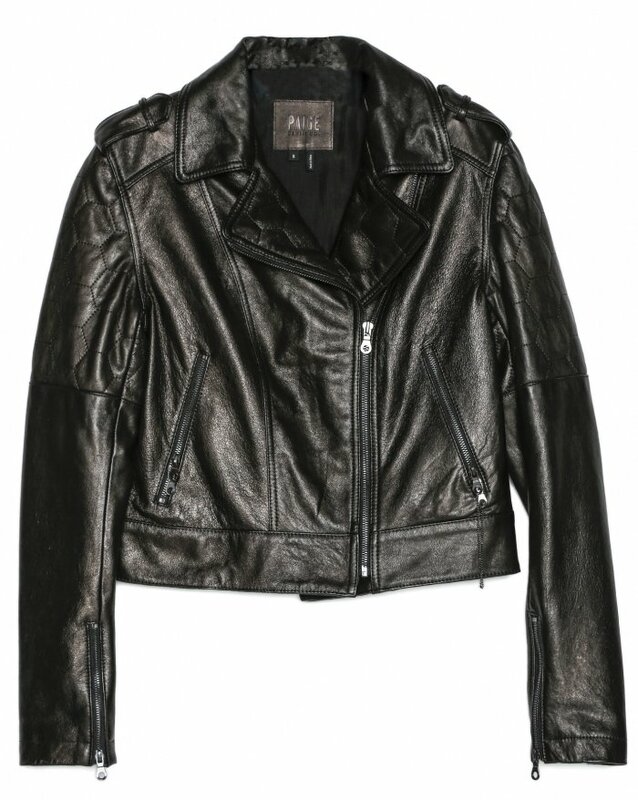 You can buy the Paige Sacha leather jacket in Night Star and in black here.